Selling through online platforms has become one of the trends today and it will continue and seize to exist until there will be another better way of selling but as of now, this is the greatest thing you can ever imagine. With just a few clicks and ticks and you are done. There are a lot of online shops or what they call as “e-commerce business” where they are licensed to conduct the business through online. Amazon is one of the top e-commerce shops in the world as of today. And it has been gaining a lot of sales compared to the brick and mortar stores. Amazon is an online shop which produces a wide variety of products and services. It is considered as one of the top online selling stores in the world today. You can find anything on Amazon, be it the most needed product for the most unnecessary product you can easily find. Amazon does not only sell their products but as well supporting other small businesses by letting them sell their products as well. Over the past years of Amazon’s reign, there have been many jobs offered to people who are lucky enough to have a stable career in the said company. Amazon is a company made by builders and sellers and inventors. If you belong to one of those mentioned, then maybe you got the right skills for Amazon. This company is not a product-based company that does not have the high-quality standard but this company maintains a name that their products will sustain and last for years. Amazon has been expanding to other areas of the world and it has been helping people to obtain products much easier. There are numerous countries around the globe that the online platform set an expanded online site, countries such as the United Kingdom and Ireland, France, Canada, Germany, Italy, Spain Netherlands, Brazil, Japan, China, India Mexico and Australia. But the latest update, about 4 days ago, was the blocking of Australian buyers to the Amazon.com site based in the United States. The Australian government will start to implement their new GST rules on July 1, 2018. GST or goods and services tax will be implemented on July 1 which applies to retail sales with low-value physical goods, goods that are $1000 or less, that have been imported to Australia and sold to consumers but products higher than that range will not be changed. If you are a seller and your business meets with the $75,000 GST registration but sells goods with low value then you need to register for GST, charge GST customers on products with low value and as well as to pay a return to Australian Tax Office. 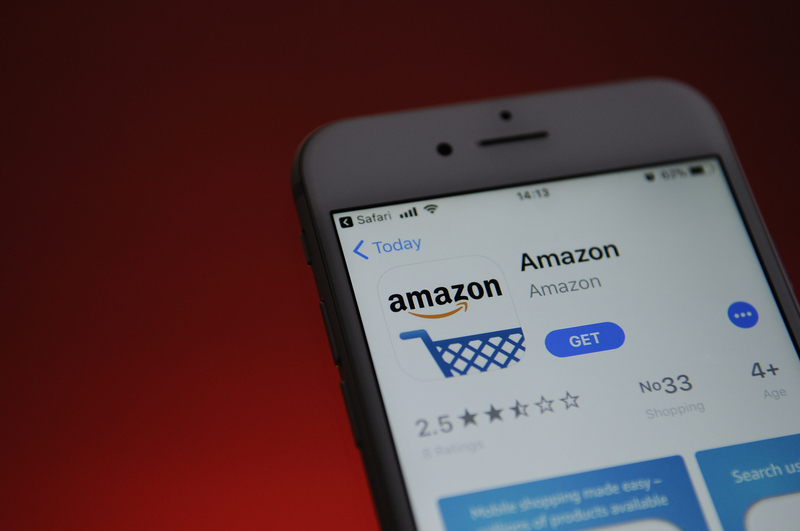 Because of this update, Australians will no longer have access to Amazon’s US website. Whenever they open the platform, they will be redirected to the local site of Amazon. The online goods tax are requiring online retailers to apply the 10% GST to all online purchases shipped to Australia from overseas, but this is only applicable to the products above $1000. Even though it is for the implementation of the said GST new rules, people are shouting that the store should not be liable for the tax increase, instead, it should be the delivery companies. Amazon Australia has only 4 million products, compared to the US website which has 500 million. You will never go through Amazon’s ban even if you are in a virtual private network, in which your location will not be seen in order to access an international website. Your products will never be shipped. But if you want to have international products, you will need to send the products to another address overseas for it to be forwarded to another delivery company which would cost you another. This is probably a great news to other competitors such as eBay. eBay’s spokesperson commented that they will not let Australian customers be blocked nor redirected instead they will let Aussies continue to shop at all eBay sites, while also capturing the required GST. That is why most people are turning towards eBay. “This requires major changes to eBay’s global systems and we are working to have these ready by July 1st”, a spokesperson of eBay said. Andrew Leigh, a Labor member of the House of Representatives and Fenner, once commented that it should be the treasurer’s responsibility to facilitate this kind of movement made by Amazon. He said, “Less purchasing choice means higher prices for Australian consumers at a time when they are struggling with record low wages growth and cost of living pressures.” But Scott Morrison, the treasurer, also replied to the comment, “The government does not apologize for ensuring multinationals pay a fair amount of tax here in Australia. A lot of comments were raised because of Amazon’s move. People are pointing fingers to anyone involved. Black Hat And White Hat SEO for Amazon: Which One Should You Choose? What are the Benefits of Attending E-commerce Conferences?